I'm writing today's post based on information I have or need to have for finishing the first draft of Bridge and moving on to the second draft, third draft, next drafts, and publication process. A lot of this was inspired by Go Teen Writers, but a lot was also just my ideas. Here are the steps I've crafted for finishing my first draft and moving on to my second draft and beyond. Let me know if you can offer advice! 1. Take a six-week break before beginning edits/more drafting. Let your thoughts run wild with new ideas. 2. Don't write the ideas down. Don't even think about touching pen to paper or fingers to keys within the six-week period! Alonya will be Reuel's betrothed, not just a candidate for betrothal. 4. Read through the first draft. Keep a notebook with you to write down changes, keeping the probable changes "global," or large-scale focused, at first. Don't pay as much attention to little things like active and passive verbs or sparkly dialogue. Some examples of "global" changes: "characters, plot, pacing, themes/symbolism" (taken from Go Teen Writers's "How to Write a Novel"). 5. Once you've read through the manuscript and made notes of changes you obviously need to make, revise the list you completed in step 3. 6. Now delve deep into each major character and completely fill them out. Here's an example for a list of things to know about your major character. 7. Do about half as much for each minor character. Think about what you need to know for this minor character. Do you need to know the name of their mother? The place they were born? Or are those things not as important? 8. Now delve deep into the plot. Are there ways to strengthen it? Ways to make more disasters? Ways to make it more logical? more intriguing? 9. Make a loose outline of the book. 10. Outline in detail the first chapter. 11. With your notebook and the first draft on hand, begin to write the second draft. 13. 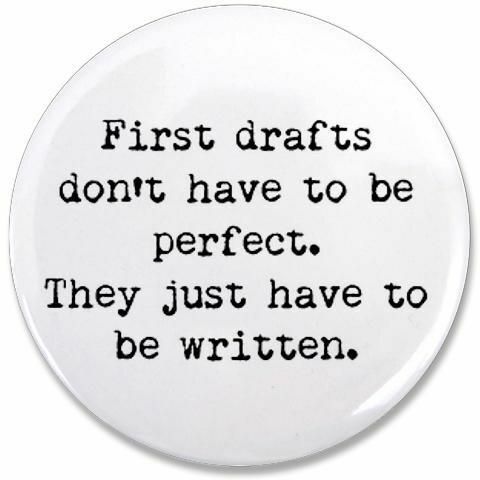 Once finished with the second draft, unless you feel it to be perfect (which is unlikely), repeat the whole process for the third draft. The good thing about preparing to write the third draft is you won't need to strengthen and evaluate the characters and plot nearly as much. 14. Once you feel that your book is as good as it's going to get, have a pair of trained eyes go over it. Someone who is good with English--and maybe not someone in your family. Familial advice may be both harder to accept and harder to get--family may be biased or fearful of hurting your feelings. Maybe a fellow writer would be a good choice. 15. Then let a pair of less trained eyes run over it. Compare the opinions of the writer and not-writer, and see how they line up with yours. Ultimately, remember: You won't please everyone. You can't please everyone. So don't try to please everyone. In the end it is your choice how you change your novel. Some comments are helpful whereas others are not. So how do you feel that was? Are there things I could change? Add? Subtract? I know I have several (at least) writers following me, and you all have great ideas! Oh, I was going to add . . . in steps 6 & 7, I talked about strengthening characters. Truthfully, I think this process should be done before the first draft. But I was naughty and didn't do it then, so I'm planning to do it before my second draft. Hopefully I learn from my mistakes, and once I'm writing another book I figure out my characters first! 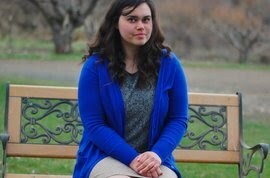 Love this, Hannah! I especially liked when you talked to yourself;) Have you finished your first draft?? I am 10 chapters into mine and recently killed off that character I was talking about. You know, the six year old. I. GOT. TEARS. IN. MY. EYES! I hope that's a good thing:/ But yeah, I figured out it's harder to write the chapter AFTER you kill the character than the chapter in which you kill him. I was literally dying! I'm listening to Che by Break of Reality right now:) I know, that's random, but I really like it:) You should look it up and tell me what you think:) Great post anyways! I sort of choked up when I killed someone in my book too. That was about a year ago now, though. I haven't finished my first draft--hopefully will soon! I'm trying (or hoping) to hurry myself up a bit. I have no pertinent advice to render, but I think you have a good, methodological approach to drafting. You're learning a great skill set in writing. Keep it up! Wow - so organized! I am nothing like this. *blushes* I just work it and work it and work it - then let others read - then continue to work. I wish I had more writers to read over my work though...I should do more of that. Any tips on publishing would be awesome! I don't think I want to self-publish, but I'm not sure. We'll see. I agree that strong characters are *huge*. Thankfully I have a very strong MC or I would have quit by now. It's my other characters that need work! Thank you, Olive, for your advice and your encouragement! At first I was only going to say two weeks, but on the Go Teen Writers website it says six weeks is better/best, so I switched. I'm planning to write during my time off, on maybe a children's story or something, since I don't want to go that long without writing anything. Writing isn't a lifeline for me, but I do love my MC and have a feeling I'll really miss him and his story for forty-two days. But I'll be able to think up new ideas, anyway. Mind if I copy this and put it in a document on my computer?